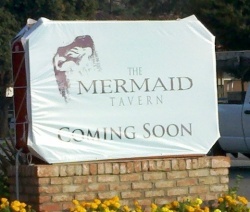 The Mermaid Tavern opened on Saturday, February 4th! The Mermaid Tavern's website is www.mermaidtavernandrestaurant.com. Update 10/20/11: A "sign" of things to come. I see a mermaid. 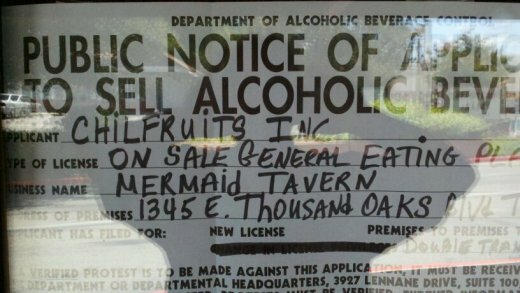 Beer is definitely recession-proof it seems, with numerous breweries popping up all over town, including Ladyface Alehouse in Agoura, The Tipsy Goat in Thousand Oaks, Brendan's Pub in Camarillo and soon The Lab Brewing Company in Agoura, possibly a Hooters in Thousand Oaks and now, Mermaid Tavern. I've confirmed that Mermaid Tavern is shown on the CB Richard Ellis brochure for the Northstar Plaza, where subject tavern shall be located. Stay tuned. Two Beers or Not Two Beers? That is the Question! 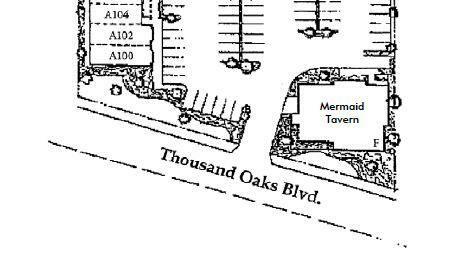 The address of the soon-to-be Mermaid Cafe is 1345 E. Thousand Oaks Boulevard, Thousand Oaks.